One of America's top satirists unleashes his irreverent wit in dead-on target essays on the U.S. economy, the international political scene, pop culture, and current events. In a book that brings together the sixty most popular columns from THE BOROWITZ REPORT, one of America's favourite political pundits continues his higher calling of misinforming the general public. Borowitz puts his singular spin on the most controversial issues and figures of our times, such as Governor Arnold's election, CIA leaks, Prince Charles' indiscretions, and Saddam's link to terrorists. Featured headlines include: 'New York Times Admits Serious Errors in its Weather Forecasts -Paper to Drop Weather Page Indefinitely' and 'Bush Offers Satellite Photos Proving Economy is Recovering - Aerial Evidence Shows Man Being Hired at Wal-Mart.' 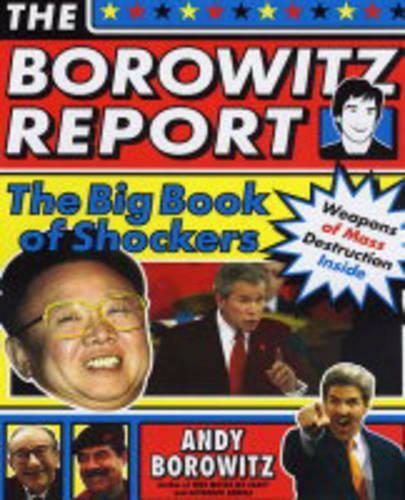 Droll, disrespectful, and lethally accurate, Borowitz takes no prisoners in a book that includes dozens of never-before-published pieces featuring his popular 'Correction' section on errors reported the day before, and news bites from the front lines of America's war on evil. A special treat is the photographs that Borowitz is the first to admit have been seriously doctored.